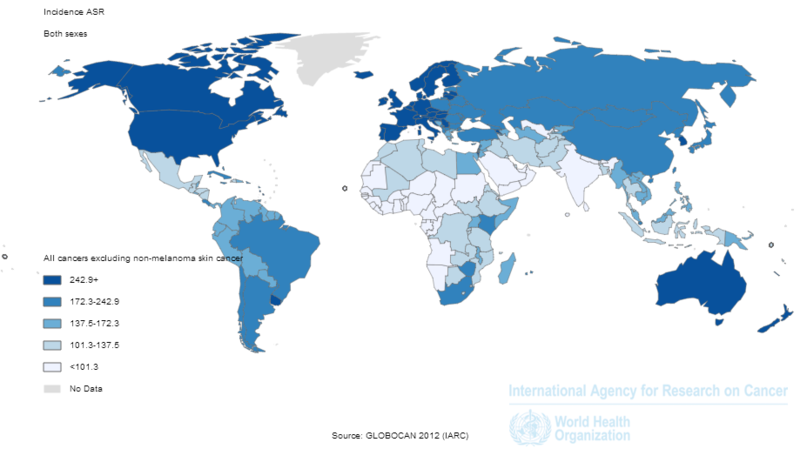 Cancer is responsible for 12.5% of deaths worldwide. This disease kills more people each year than HIV, tuberculosis and malaria combined. Cancer is the second cause of death in developed countries (following heart disease) and the third cause of death in developing countries (following heart disease and diarrheal disease). The American Cancer Society predicts that more than 12 million cancer cases will be diagnosed each year worldwide. By 2050, it is estimated that there will be 27 million new cancer cases per year and 17.5 cancer-related deaths per year. Today, significant medical progress has been achieved in the early detection of cancer, which has vastly improved cancer survival rates. In conjunction with active prevention policies, this progress has led to reductions in the mortality rate for many cancers. Today, millions of individuals around the world have survived or been cured of cancer.